There is a must go-to place in San Jose del Cabo. It is not a particular hotel; it is not the beach; it is not a tequila bar; it is not a taco stand. 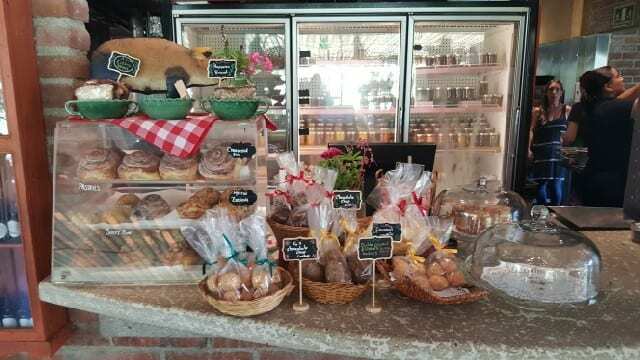 It is an organic farm and restaurant called Flora Farms. I was in Cabo, staying on the beach on the tip of the Pacific Ocean side. My friends had heard about this place from a chef friend and asked me to join them. 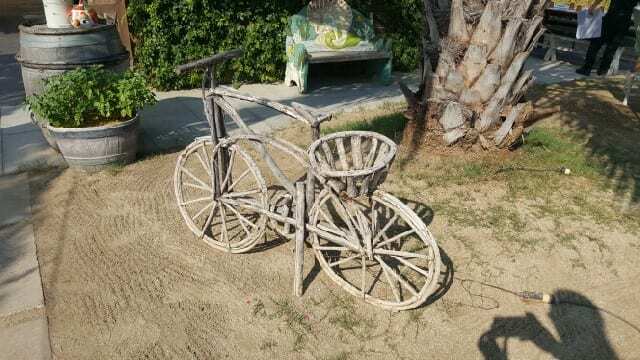 We ordered a taxi and took a one hour drive back towards the airport to San Jose del Cabo. After passing large hotel after large hotel, we turned down a dirt road and drove another 10 minutes and arrived at Flora Farms. 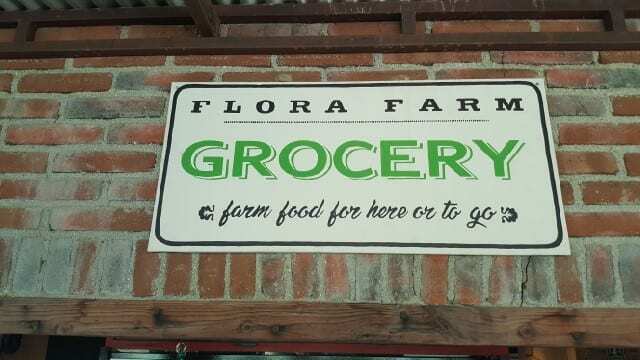 Flora Farms in an organic compound owned by Gloria and Patrick Greene. As the car parked, we came across a few shops, including one where over-priced locally-made soaps were for sale as well as a James Perse clothing store. There was also a wine and coffee bar. We followed the path to the left and at the end is Flora’s Field Kitchen and Flora’s Farm Bar. 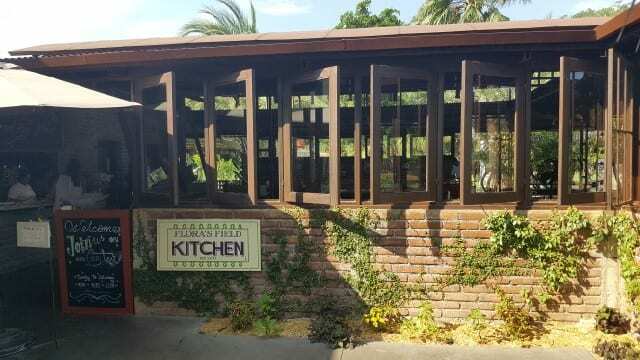 An open-air restaurant, Flora’s Field Kitchen has an rustically modern and natural feel to it. We took a seat at our table as the water misters cooled us down. 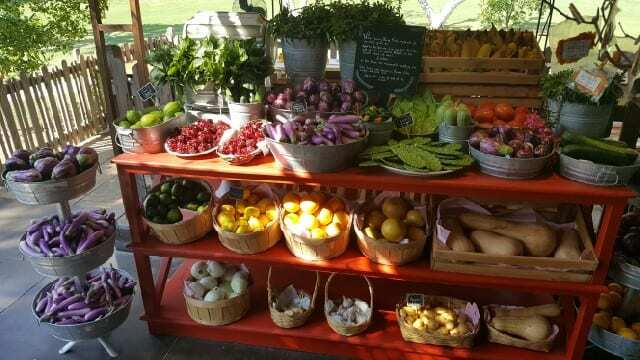 Flora Farms is a 25-acre organic farm in the foothills of the Sierra de la Laguna Mountains in San Jose del Cabo. Here they grow a variety of fruits and vegetables. They also have a 125-acre ranch where they are raising free-range chicken, pigs, goats and rabbits without hormones or antibiotics. These animals eat purslane, amaranth and mangoes in the summer and grains in the winter. There is a butchery and chatcuterie on site as well. We started with cocktails from Flora’s Farm Bar. 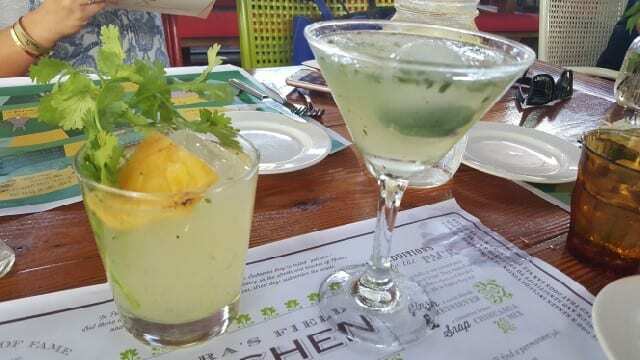 The cocktails are made with fruits and vegetables from the farm and we enjoyed the El Viejo made with pineapple, mezcal, cilantro and jalapeno and served on the rocks, the Farm Garden is made with thyme, mint, Ketel One and mint infusion and the Farmarita is made with heirloom carrot juice and reposado tequila. 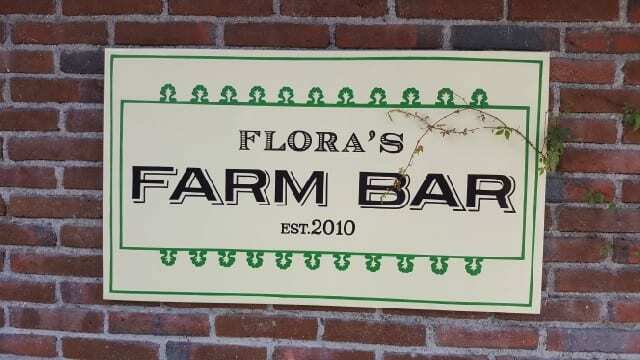 The menu at Floras Field kitchen consists of homemade food using their farm fresh ingredients. 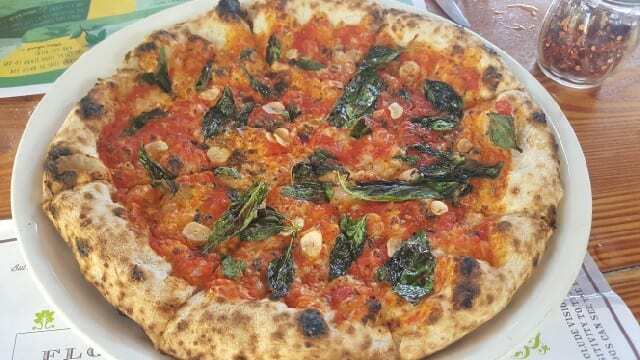 With a wood-burning oven, there is a full pizza menu. We shared the Marinara Pizza with a delicious thin crust. We also shared a few appetizers. 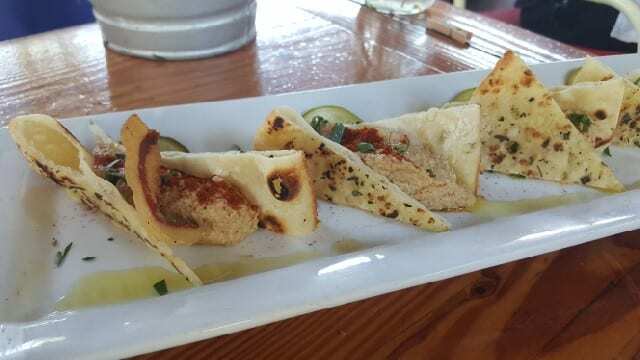 The White Beans and Pumpkin Seed Dip with crispy guanciale and garlic roti has a nice spice to it. 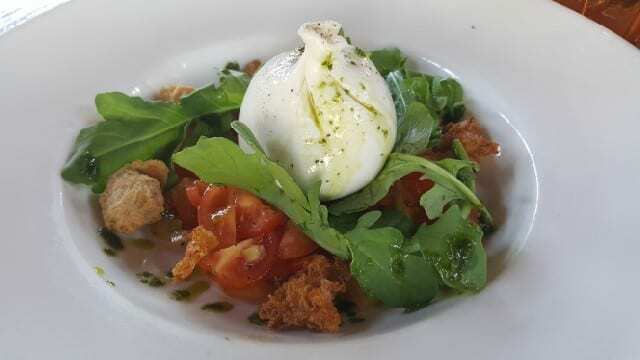 House Made Burrata with marinated tomatoes, arugula and sourdough croutons is fresh with bright flavors and absolutely delicious! My favorite dish of the meal was Chilled Cucumber and Almond Soup with preserved vegetables, almond and lemon cream. 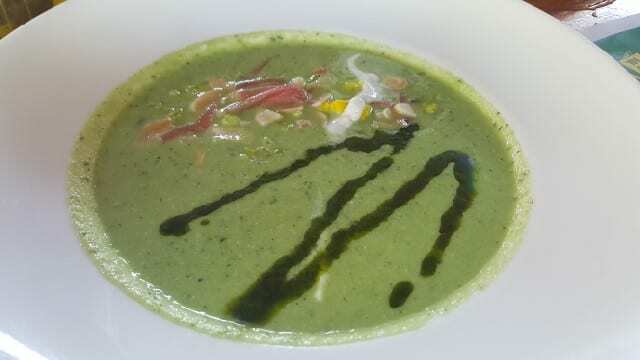 A refreshing soup on a hot day, I loved the balance between the cucumber and the almond. 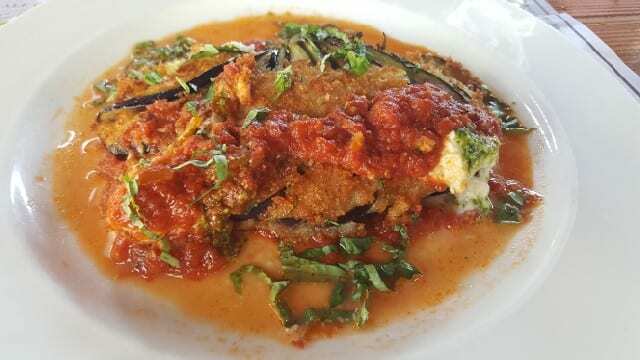 For a main course, I enjoyed the Crispy Eggplant with tomato fondue, fresh mozzarella and basil. When the ingredients are so fresh and full of flavor, it is hard not to taste good. 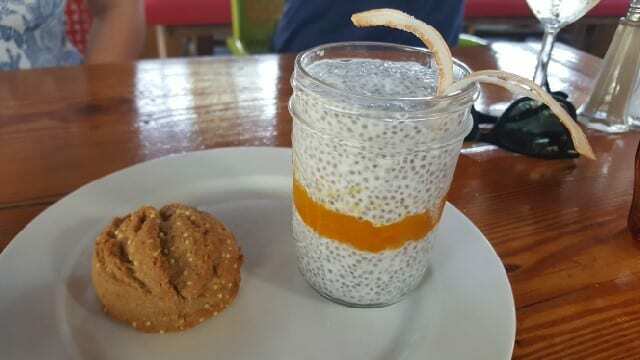 For dessert, we shared the Chia pudding with coconut. But I also had to run over to the Ice Cream cart to try the locally made ice cream. I loved the chocolate with fresh mint ice cream and the banana sorbet was so pure that it tasted like eating the banana itself. 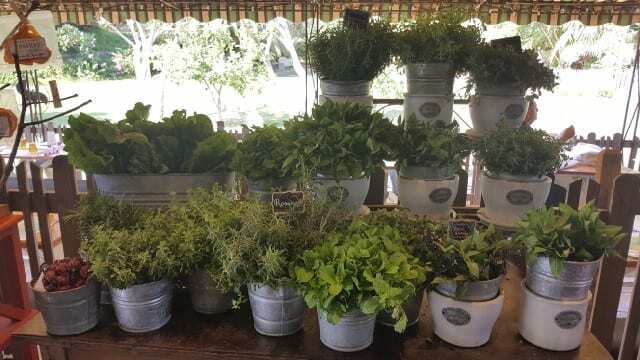 Next to the restaurant there is the Flora Farm Grocery where you can buy vegetables, herbs and fruits picked fresh daily. 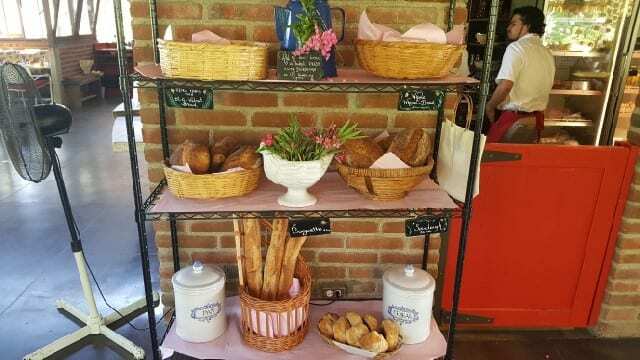 Homemade breads and pastries are baked each morning in the wood-burning oven and the meats are all grown, butchered and cured onsite. 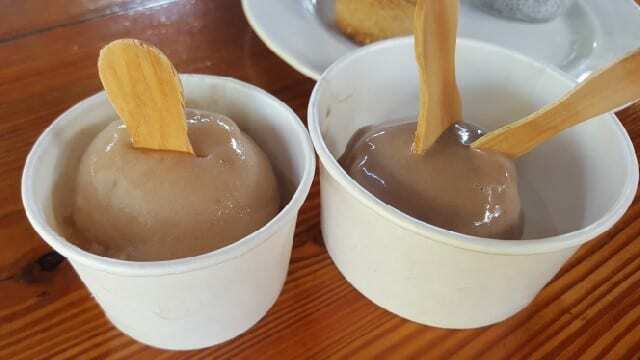 The house-made ice cream is also available, as are prepared foods, such as sandwiches, salads and pastas. 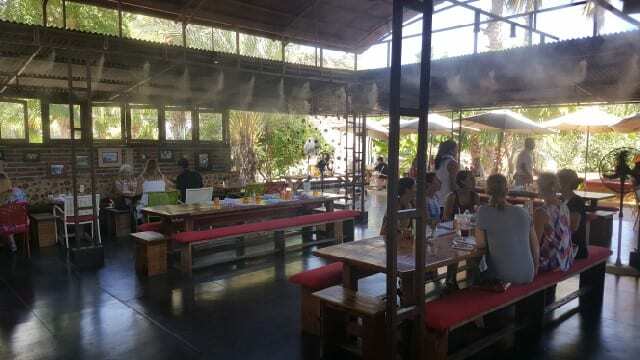 Fresh flavors, organic, healthy and delicious, Flora Farms was a perfect way to spend a Saturday afternoon in Cabo! Once you are there, if you decide you never want to leave, perhaps you will want to check out the handcrafted luxury culinary cottages that are available for sale. 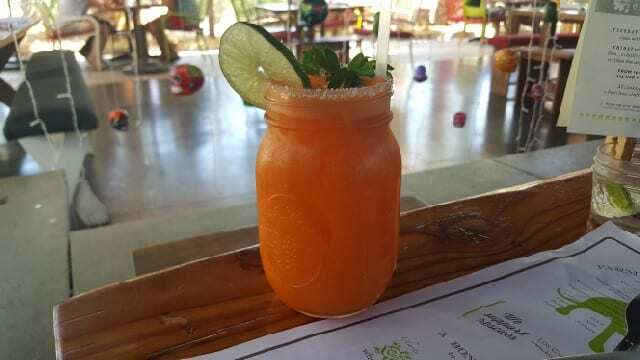 This entry was posted in Cocktails, Food, Lifestyle and tagged Cocktails, DrinkWire, Flora Farms, Flora's Farm Grocery, Flora’s Farm Bar, Flora’s Field Kitchen, food, Liquor.com, Mexico, San Jose del Cabo by Allison Levine.